Minnesota West Ag Services utilizes the "MNWestAg Position Manager" program to track your market position. MNWestAg has the most comprehensive all inclusive system that helps producers understand what their market position is and the impact of their decisions. The MNWestAg Position Manager uses your estimated production costs, your expected bushels produced, along with your market position to provide a snap shot look at your potential profitability using the current price or a set price. The images shown below represent just a few of the many graphics or reports provided within the "MNWesAg Position Manager" program Copyright 2011 Minnesota West Ag Services, LLC. For more information contact Minnesota West Ag Services, LLC. The page header provides current crop data and a position recap. 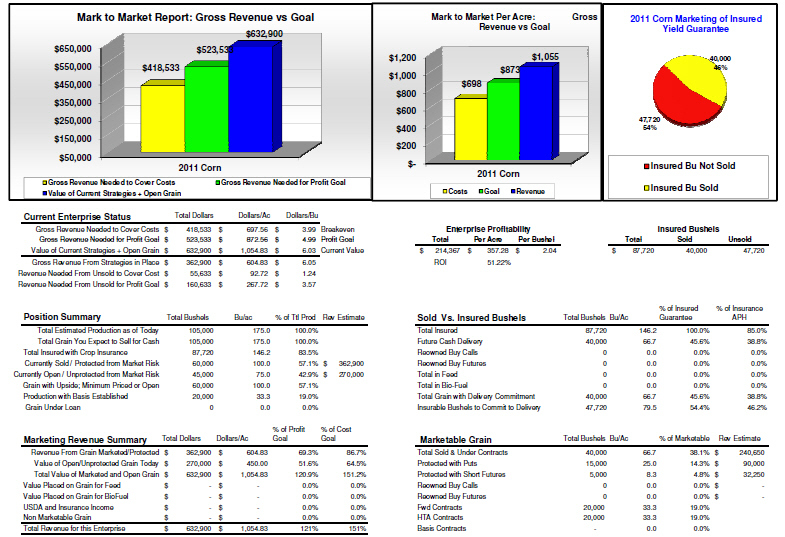 Changing the value per bushel or unit will impact the espected profitablity in the position summary. The position summary page provides a comprehensive look at crop marketing data and also provides an estimated profitability for the crop. Each sale of the crops is recorded to provide inportant data that is used throughout the program. CBOT Futures and Option positions are also tracked and the data interacts with other sections of the program. The image below shows an example of the put option tracking that uses an "Open" or "Closed" indentifier to easily show the status of the position. 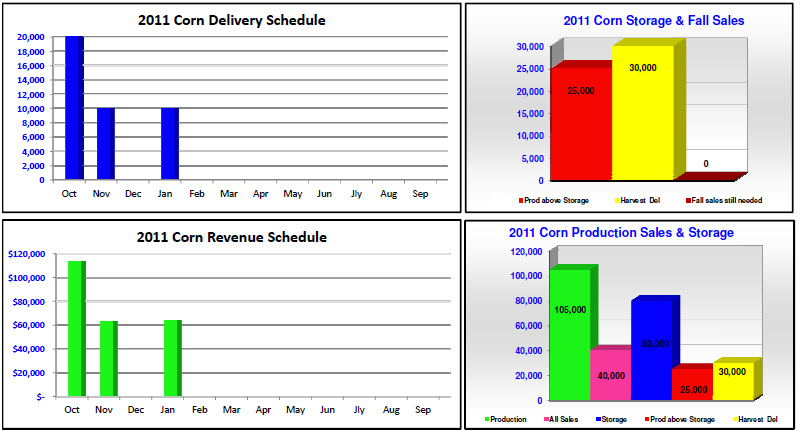 The program generates Delivery and Revenue Reports in both graphic and data form. The Estimated Market Position graph is one of the most comprehensive ways to see how a change in price impacts your estimated profitability. Using your costs and marketing position the graph provides a look at your current position as compared to staying 100% open. 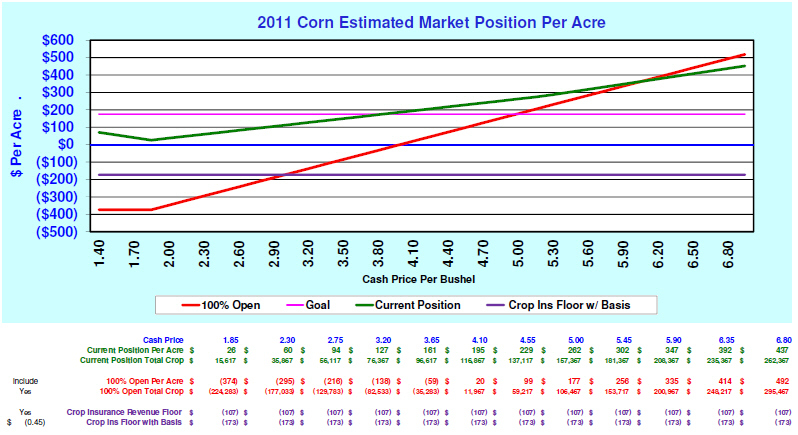 It also shows what your profit goal is along with your crop insurance revenue floor.